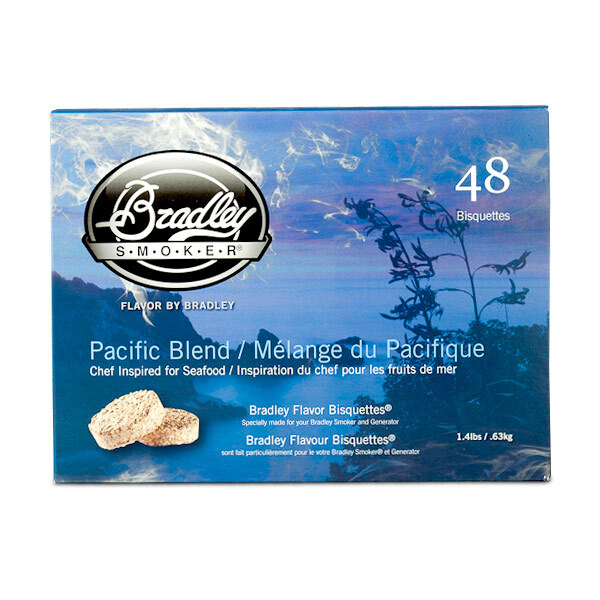 A light clean flavorful smoke, our new Pacific Blend bisquettes will bring a unique flavor to any seafood, poultry, vegetables and cheese. 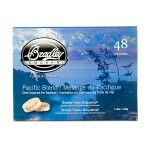 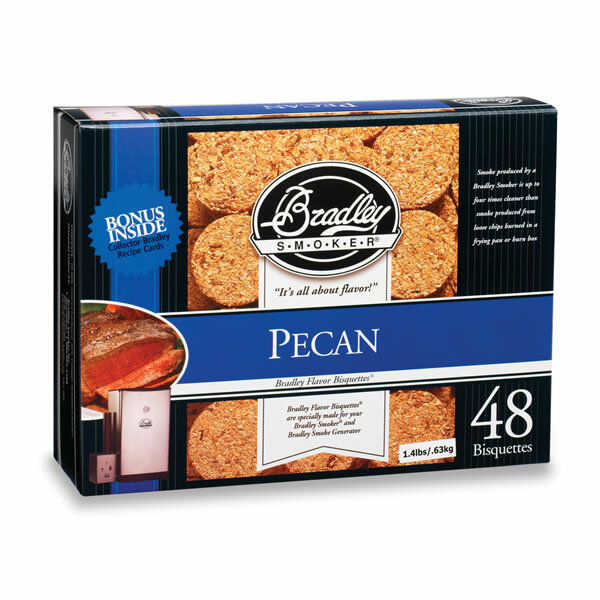 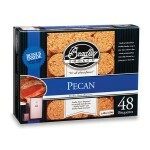 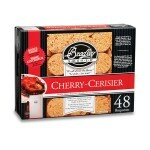 Amazing when used with wild boar and game, Pecan flavor bisquettes also make great smoked beef, pork and poultry. 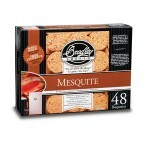 Mesquite is the most popular wood use in southern barbecue. 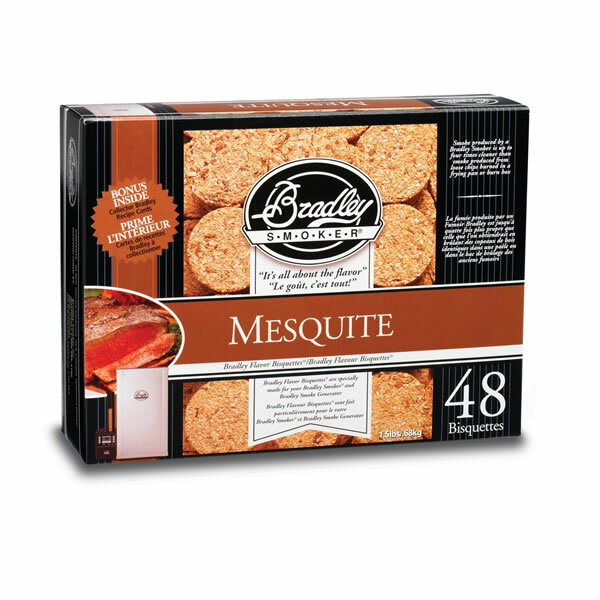 Mesquite has a strong and hearty smoke flavor which complements beef, venison, wild game and more. 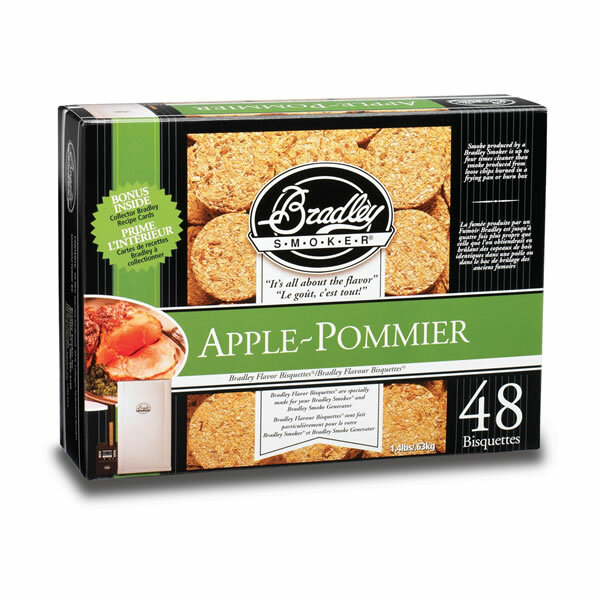 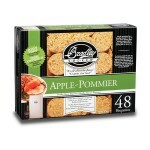 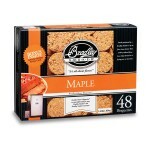 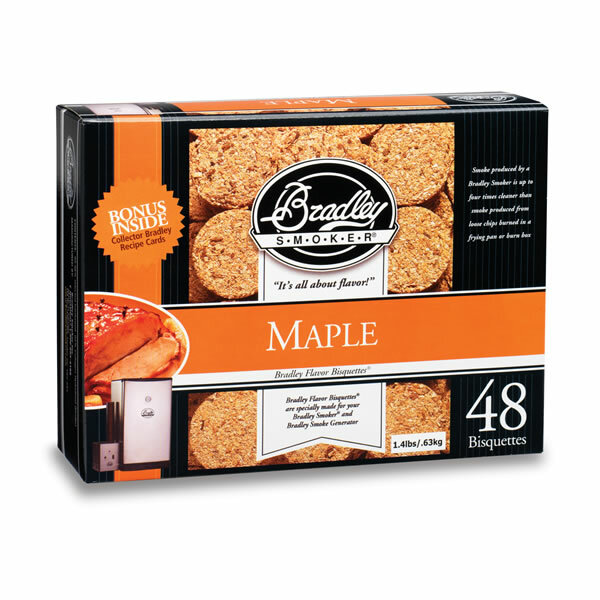 A smooth and mild flavor, Maple bisquettes have a slightly sweet aroma and pair perfectly with salmon. 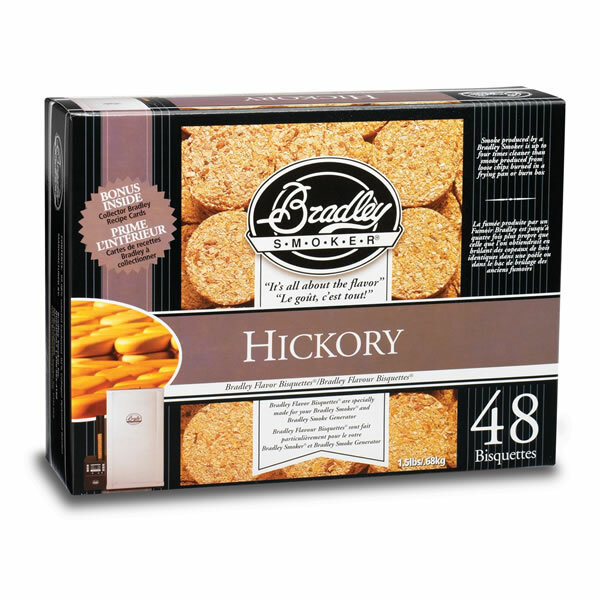 A popular wood for smoking and considered by many to be the best wood for pork, hickory bisquettes are a “must have” for any gourmet chef. 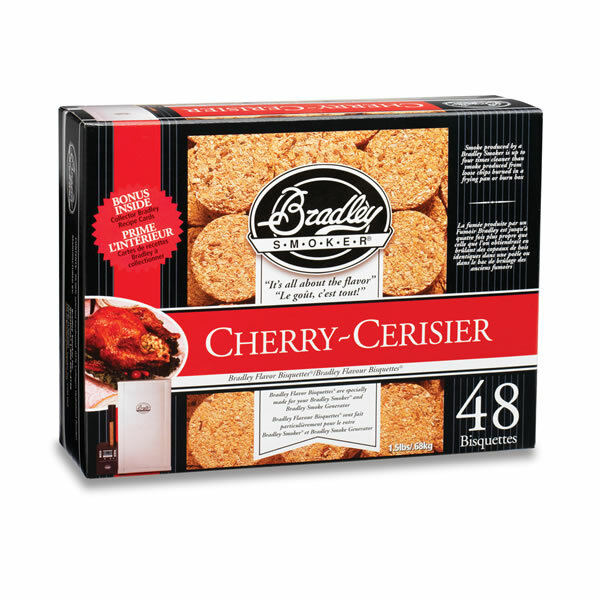 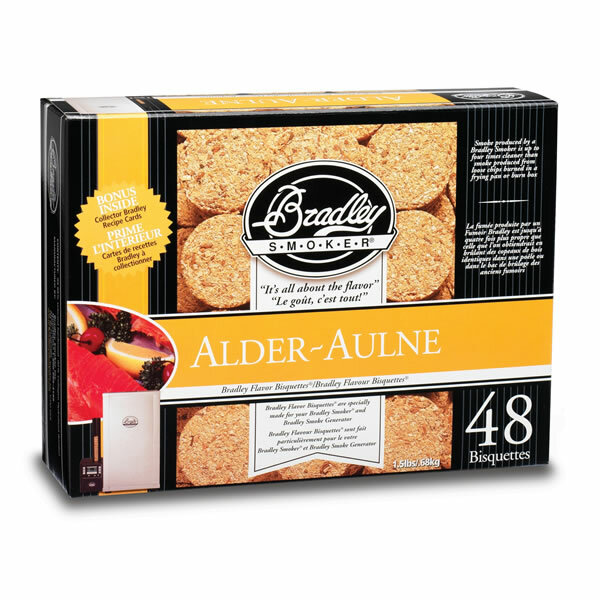 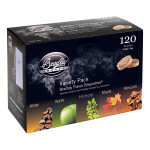 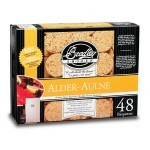 These bisquettes provide a wonderful smoke for poultry, vegetables, cheese and more. 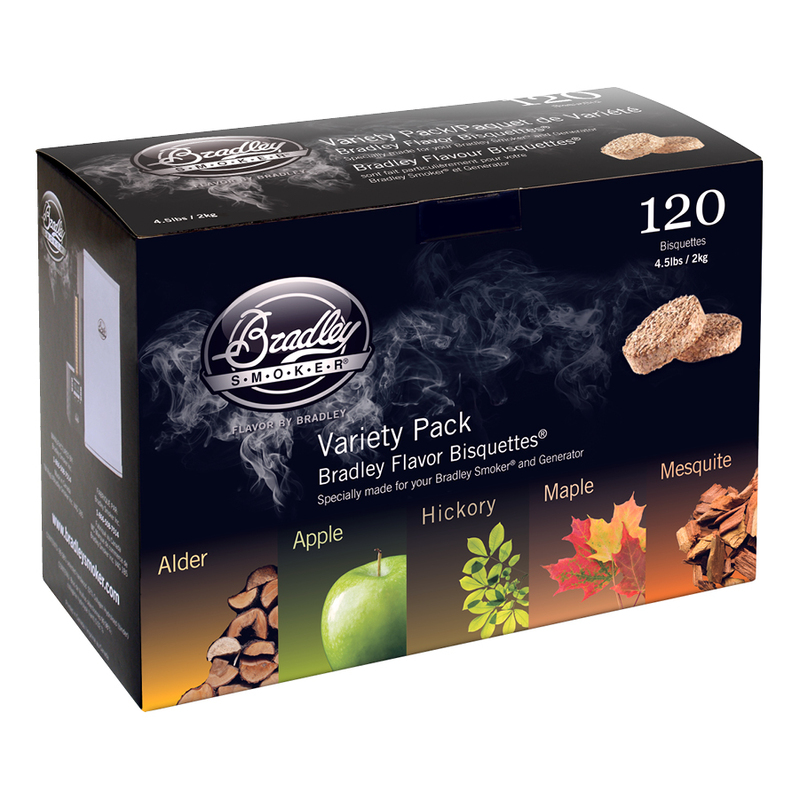 One of the milder smoke flavors, Alder produces a great, slightly sweeter smoke flavor for your food. 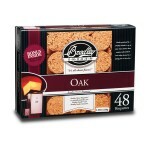 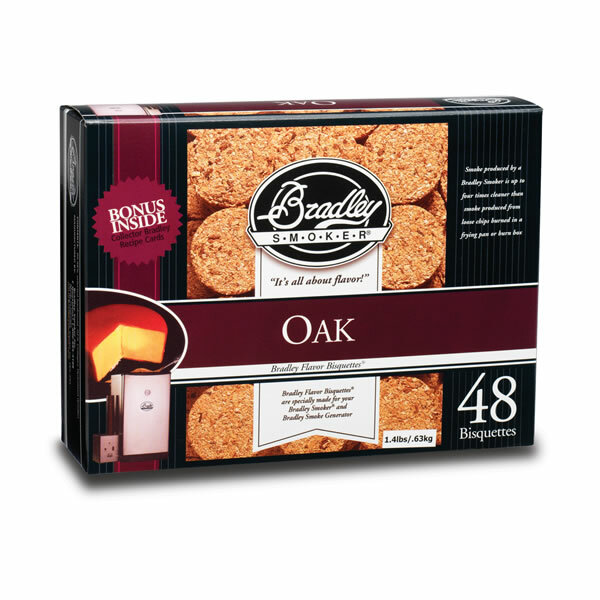 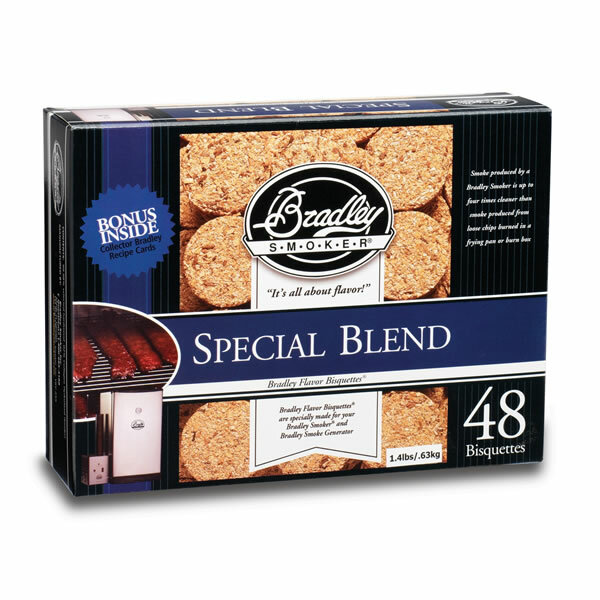 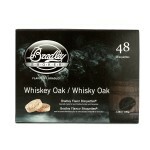 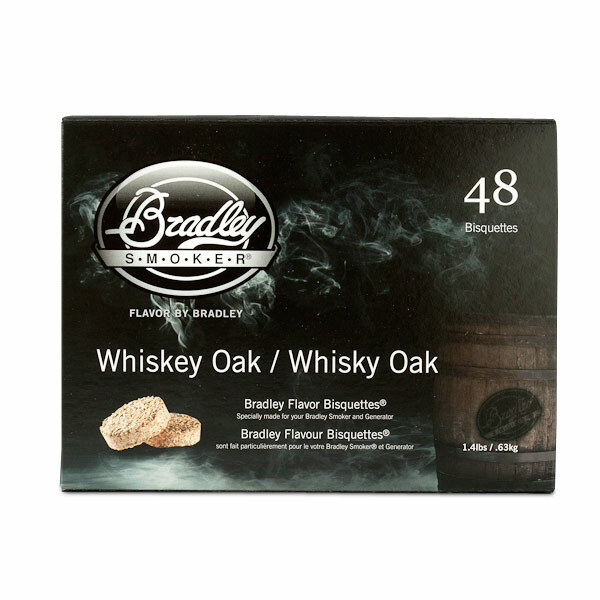 Rich with flavor, these special edition Whiskey Oak Bisquettes will bring a rich smoke with whiskey essence.